Santee incorporated in December, 1980. With a population of 56,000 and located in eastern San Diego County, Santee is the twelfth largest of San Diego County's 18 cities. With approximately half of its land undeveloped, Santee is one of the few cities in the county with space to grow. 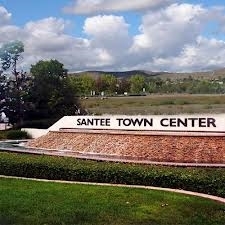 Since its incorporation, Santee has worked steadily to enhance the community's quality of life. Toward that end, the City Council approved the Town Center Specific Plan, a 700-acre mixed-use development straddling the San Diego River. This project includes a high-tech office park, multi-family residential, open space, and a planned 55-acre community park for recreational activities. The San Diego Trolley has its eastern terminus in the Town Center and includes a major shopping center (Santee Trolley Square). Two new freeways, SR-52 and SR-125, have been extended into the City. In the undeveloped northern portion of Santee, encompassing almost 25% of the City, is an area known as Fanita Ranch. This 2600-acre site is envisioned as a significant master-planned community providing high quality recreation and residential living. The Santee School District and the Grossmont Union High School District rank among the best, having earned several local, state, and national awards for academic excellence. The schools also boast outstanding extracurricular activities from sports to fine arts. The area is home to the Grossmont Community College District, which boasts two award-winning community colleges, Grossmont and Cuyamaca. In addition, San Diego State University, University of California at San Diego and University of San Diego are close by. Sports: Sportsplex USA Santee, a 15 acres sports field complex, opened on June 1, 2010. Located within Town Center Community Park, it features three lighted softball fields, four batting cages, two lighted arena soccer fields, spectator seating, parking and a sports-themed restaurant offering food, beer and wine. Outdoors: In addition to being a popular spot for mountain bikers, the city hosts a popular Southern California rock climbing venue called Santee Boulders. Santee Lakes Regional Park and Campground offers 190 acres for fishing, camping, bird watching and picnicking. Golf: A local landmark since 1958, the Carlton Oaks Golf Course and resort offers a premier golfing destination.The course was designed by the legendary Pete Dye,who is in the World Golf Hall of Fame. Other Recreation: Santee is just 30 minutes away from the beaches and bays of San Diego. It is also just a car ride away from multiple Casinos. Within Santee, Santee Trolley Square is a hub for shopping and dining. A 10-week series of free concerts is organized each summer by the city's Community Services Department. The Santee Wine & Bluegrass Festival, a fund-raiser for local park and youth recreation programs, is held each fall at Town Center Community Park. Santee is also home to Off Broadway Live, a 100-seat, cabaret-style theatre. Off Broadway Live features year-round live theatre. Our city is a part of the San Diego Metropolitan Transit System which offers bus and trolley transportation to all of San Diego County. We are within 30 minutes of almost every part of San Diego, including the San Diego International Airport. In addition, we have a small airfield called Gillespie Field services private planes right outside of our city limits . Jan 42.0 F° 56.0 F° 70.0 F° 2.3 "
Feb 44.0 F° 57.0 F° 70.0 F° 2.7 "
Mar 48.0 F° 60.0 F° 72.0 F° 2.4 "
Apr 51.0 F° 63.0 F° 75.0 F° 0.8 "
May 56.0 F° 67.0 F° 78.0 F° 0.1 "
Jun 59.0 F° 70.5 F° 82.0 F° 0.1 "
Jul 63.0 F° 75.0 F° 87.0 F° 0.1 "
Aug 64.0 F° 76.5 F° 89.0 F° 0.0 "
Sep 62.0 F° 75.0 F° 88.0 F° 0.2 "
Oct 56.0 F° 68.5 F° 81.0 F° 0.6 "
Nov 47.0 F° 61.0 F° 75.0 F° 1.4 "
Dec 41.0 F° 55.0 F° 69.0 F° 1.8 "
Our Spring temperatures are cool with averages in the low 60's and highs in the mid 70's. Nights are cool with lows in the low 50's. Summer temperatures are mild with averages in the low 70's and highs in the mid 80's. Nights are cool with lows in the low 60's. Fall temperatures are mild with averages in the upper 60's and highs in the low 80's. Nights are cool with lows in the mid 50's. Winter temperatures are cool with averages in the mid 50's and highs in the upper 60's. Nights are cold with lows in the low 40's. Home care Senior center Visiting nurses Santee offers a variety of assistance for seniors including senior groups. Active older adults meet at City Hall and other city locations. Enjoy the company of others, make new friends and be part of the fun. Participate in the activity of the week, play board games or just visit with friends. 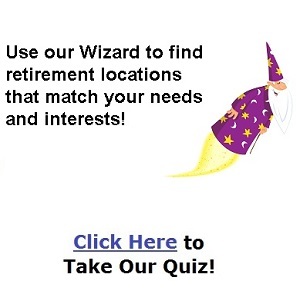 There are a multitude of volunteer opportunities for seniors in Santee. The school district, library, and parks and recreation department are just a few of the opportunities offered in our community.